Alice is a Rochester native, having lived in Pittsford, Brighton, and now the Historic East Avenue District. She and her family have had 8 homes in the Rochester and Canandaigua Lake areas, having personally renovated most of them over the past 30 years. 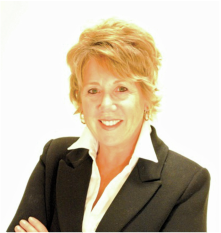 A dedicated Realtor and multi-million dollar producer, Alice thrives on giving each client the service they deserve. She is devoted to her core philosophies of Personal Attention and Loyalty. Alice uses the most effective and current marketing methods available such as professional photography, videography, and drone video as well as taking advantage of the power of social media via Facebook, Instagram, Twitter, and more. The marketing department at Mitchell Pierson Jr., Inc. produces the highest quality 4-color brochures, mass email blasts, and print advertising. Every effort will be made to market your home for maximum attention. Alice graduated from Our Lady of Mercy High School and the University of Dayton, B.A. Communications & English.